With a few extra vacation days to burn at the end of the year, I’ve found myself with a bit of time on my hands. So I’ve taken to going for a walk in the afternoon and taking photos. For the past couple of days my route has taken me from Millennium Park, up Michigan Avenue and the Magnificent Mile to Water Tower Place. 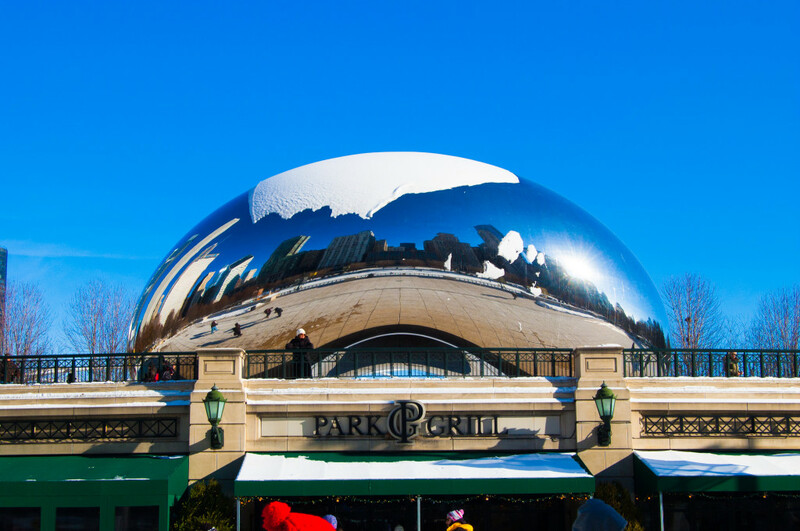 Visitors always tell me they’re surprised that anyone leaves the house during Chicago winters, but there’s plenty to see and do. The Bean—officially “Cloud Gate”—is a great place to sit for a while and people watch. 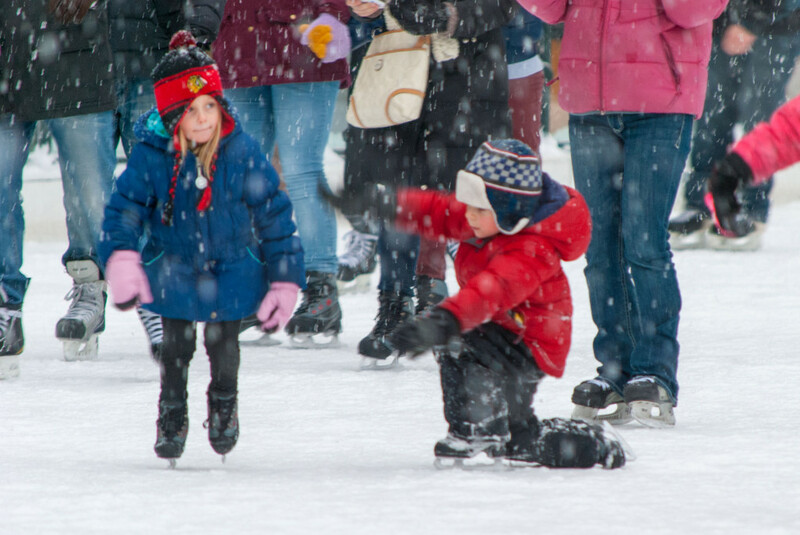 In the winter, the plaza along Michigan Avenue is turned into an ice rink, drawing tourists and Chicagoans alike to music-filled fun on the ice. These youngsters are busy practicing their pairs routine. Millennium Park is also a great place for a little planspotting. Planes pass directly overhead on their way into and out of O’Hare Airport. I had the good fortune to capture the Hainan Airlines 787 from Beijing. 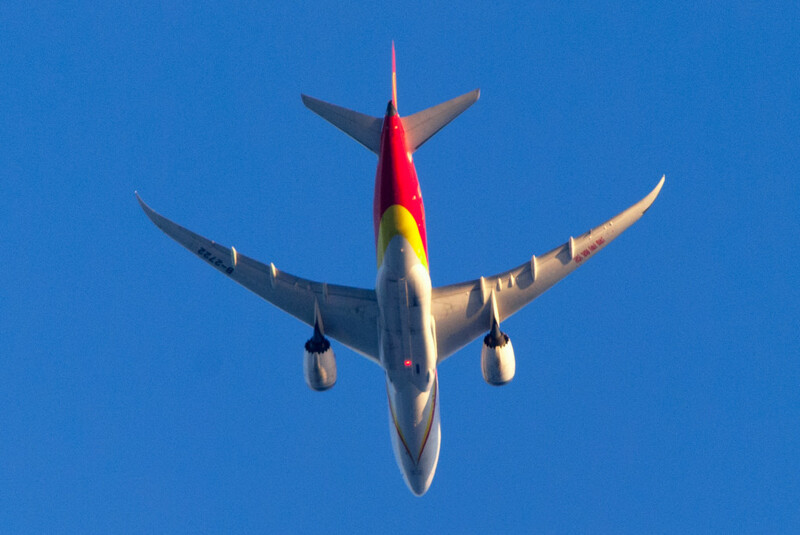 A Hainan AIrlines 787 flies its downwind leg on approach to O’Hare Airport. The attraction north of Millennium Park, along Chicago’s Magnificent Mile, are the beautiful old buildings and the bountiful people watching. At the start of the Mag Mile is the Carbide and Carbon building, built in 1929 by Daniel Burnham’s sons. The Art Deco building currently houses the Hard Rock Hotel. 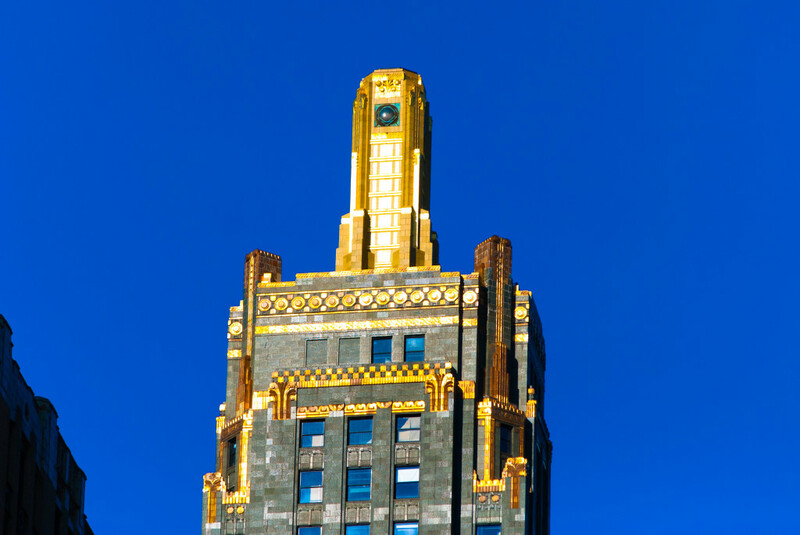 The top of the Carbide and Carbon Building. The gold leaf is illuminated at night. 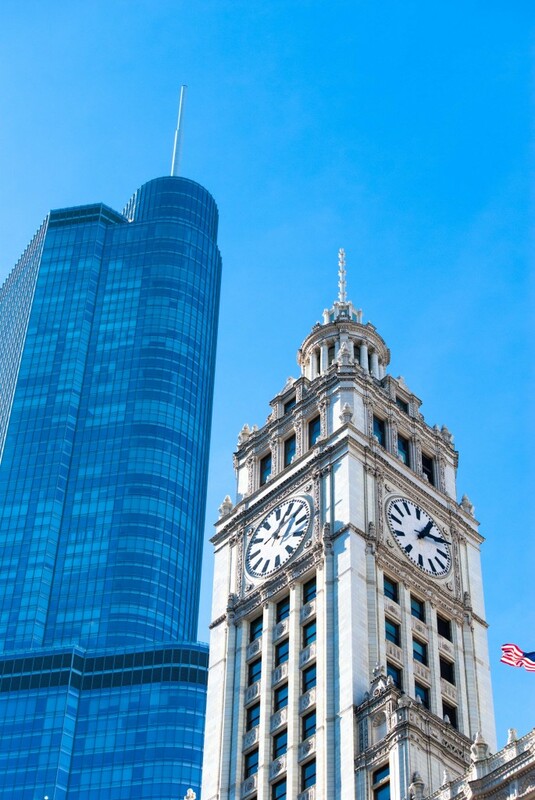 Further north, just across the river, the Wrigley Building sits in the shadow of the Trump International Tower, now the second tallest building in Chicago. The Wrigley Building’s south tower in the foreground and Trump Tower looming. The plaza below the Wrigley Building is the perfect place to stop and enjoy the river traffic and foot traffic. On a day last week when the temperature was 14℉ I saw a woman walking with nothing covering her legs and no gloves. But she did have earmuffs! Not a particularly comfortable way to survive 14 degrees. 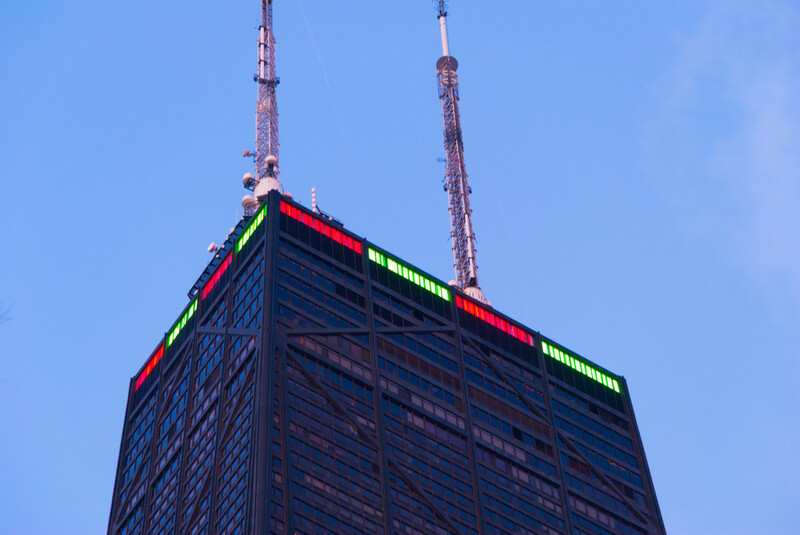 At the other end of the Magnificent Mile—and at the end of my walk—sits the John Hancock Center and this time of year it’s all lit up for Christmas. The Hancock Center, Chicago’s fourth tallest building. 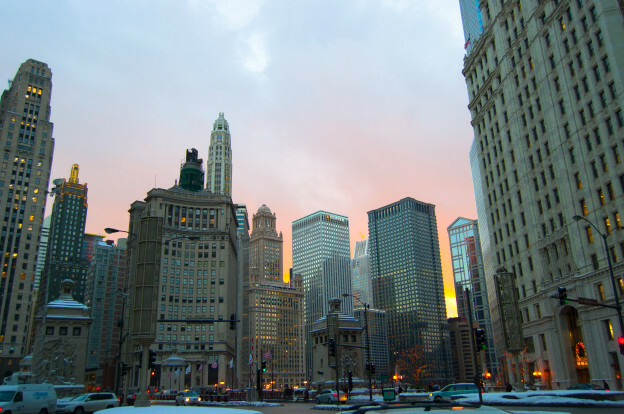 If you’re in Chicago during the Winter and care to brave the cold, spend some time outside walking. You’ll be surprised by how much you see.